Normally novels are not necessarily my kind of books to read. This is a stellar exception to that rule. Once I started reading I got into the story so much that I could not stop reading. Mike Force and Chris DiGiuseppi wrote this trilogy based on some of their experiences. I have been blessed to meet both authors during a business leader gathering. They are down to Earth folks who embedded their personal experiences with violent deaths and weaved it nicely into one compelling story. They have been law enforcement officers for well over 20 years. 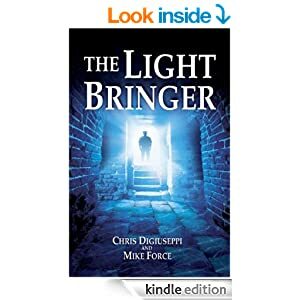 This connects to the story: 16 people die in The Light Bringer. The fictional policeman accompanies them on their way to the afterlife. I cannot tell you more – you have got to read this book series. Have you ever wondered what may happen when you pass on? How about when people die a violent death? This book will make you ponder many things. Discover more here.